Great for beach or backyard! Easy in & out seat height. Fabric Material: High grade, weather-resistant fabric. Dimensions (in. ): Open 26 x 28 x 42 in. 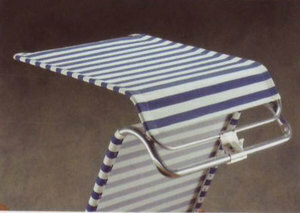 Folded 25 x 5 x 40 in. Weight Capacity (lbs. ): 250 lbs. 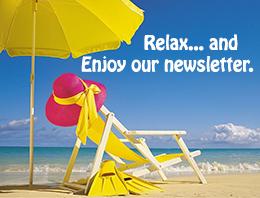 What's Included: Features a zippered storage pouch and cell phone holder, as well as a hanging cup holder! 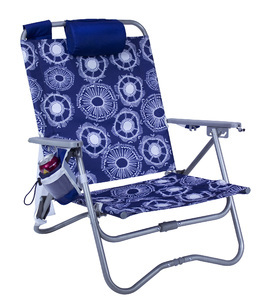 The Rio Beach Hi-Boy Beach Chair serves a double purpose: beach or backyard. 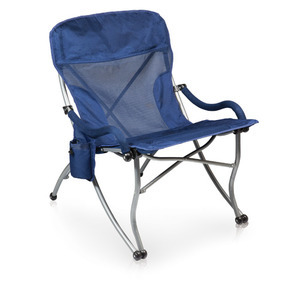 It has that backyard chair seating height comfort with lightweight portability for a trip to the beach. Seat height is 17" off the ground for very easy in and out. 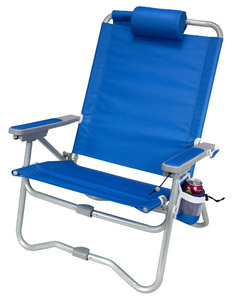 This great chair also features a drink holder, zippered storage pouch and a cell phone holder, as well as an adjustable carry strap.